Isn’t it incredible just how far technology has brought us? For instance, consider the concept of memory foam and how it came about. Memory foam was developed back in 1966 by NASA, in a bid to provide support and protection against gravitational force. Charles Yost- the mastermind behind this invention- formed the open cell memory foam material for the purpose of absorbing considerable amounts of energy. Back then, memory foam was solely used in NASA aircraft seats.Flash forward to 2018 and this material is now used in making a ton of items ranging from mattresses to shoes, wheelchair seat cushions and pillows. Memory foam has become a popular choice of material because it’s hypoallergenic, durable, aesthetically appealing and flexible. Today, we will focus on memory foam pillows by highlighting the best memory foam pillow available in retail along with some of the competitors. We will also explain why they are a better choice than traditional pillows. What’s the Best Memory Foam Pillow? The Conforma Cushion by Classic Brands features an exceptional style of memory foam pillow – making it the best memory foam pillow in our mind. It has all the aspects that qualify it to be a memory foam pillow, and then some. If you have used a soft fiber pillow before then you know how uncomfortable it can feel. Usually, it starts out fluffy but after resting your head on it for just a few hours, it flattens out.Thankfully, a memory foam pillow like the Conforma Cushion works differently. Conforma is designed in a way that keeps your entire body aligned, allowing your head and back to remain straight throughout your sleep session. This position prevents you from waking up with a stiff neck or an aching back. Classic Brands employed state-of-the-art technology in making this pillow. For one, it has airflow technology that keeps the pillow’s surface cool so that you don’t sweat at night. Secondly, the viscoelastic memory foam used in its construction is resistant to dust mites, allergens, mold and mildew. The cover is detachable so you can easily remove it for washing. For the spongy inner component, you can wipe it gently using a damp cloth but do not submerge it in water. If you choose to soak the memory foam in water, remember to give it enough time to dry- preferably in a ventilated area. Our runner up to the best memory foam pillow, the Conforma, is the Xtreme comforts shredded memory foam pillow. What many don’t realize is that using the wrong kind of pillow causes a lot more than just a restless night. If you’re forced to wake up multiple times just to readjust your pillow, you will end up feeling very tired and miserable in the morning. This can even lead to migraines, snoring and sore muscles. 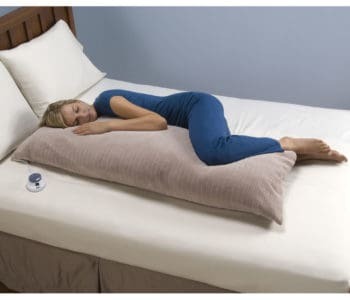 Fortunately, you can avoid all this by investing in this quality memory foam pillow. 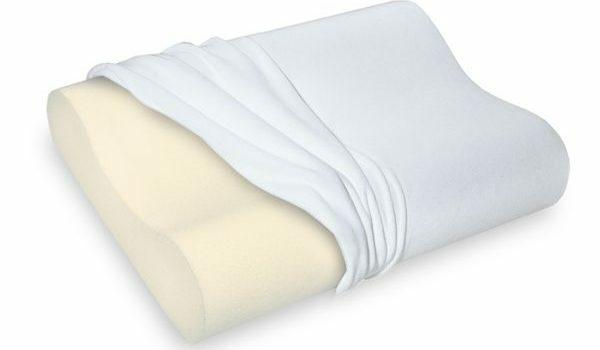 The benefit of using shredded memory foam is that it not only provides a firm support but also gives the pillow ample flexibility so that it conforms to your body shape. Xtreme Comforts has many years of experience in making this type of pillow. It is this expertise that they applied in creating a versatile, flexible and one of the most comfortable bed pillows. 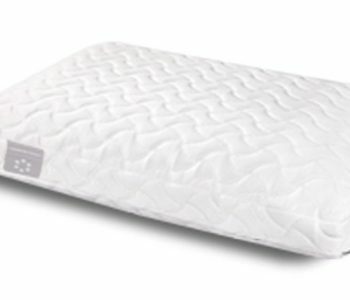 One thing we particularly like in Xtreme Comforts memory foam pillow is their patented Kool-Flow technology. Looking at it closely, you will notice a handful of vents in the pillow cover. These vents prevent an individual’s body heat from warming up the pillow – similar to the Conforma above. This casing is also fabricated from bamboo and cotton, both of which are great at resisting moisture. Xtreme Comforts recommends this pillow for pregnant women, who may want to support their backs and bellies while they rest. Overall, this pillow is suitable for all sleeping positions. However, not everyone likes shredded memory foam because it may feel uncomfortable. This is why we couldn’t recommend this as the best memory foam pillow (it’s a bit user dependent). Summer is one of those seasons that many await with bated breath. There’s a ton of outdoor activities that one can engage in. For others, however, the elevated temperature levels means more difficulty trying to get sleep. And let’s not forget the night sweat that leaves ugly stains on our pillows. 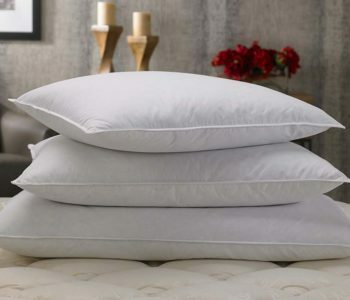 For a more restful night, consider investing in a quality and breathable pillow like LinenSpa memory foam pillow. This is our second runner up to the best memory foam pillow. The outer layer is made of gel-infused memory foam while the inner core consists of shredded memory foam filling. Improved breathability and airflow technology are some of the things that we like about this pillow. These features have a cooling effect; thus, enabling you to sleep better at night. You can see what the trends in these memory foam pillows is (level of cooling). What’s more, the shredded memory foam filling is flexible. You can move and reshape it so that it conforms to your head, neck and back. This provides maximum support while still maintaining proper alignment of your spine. Also, the shredded memory foam is resistant against mold, mildew, dust mites and allergens. 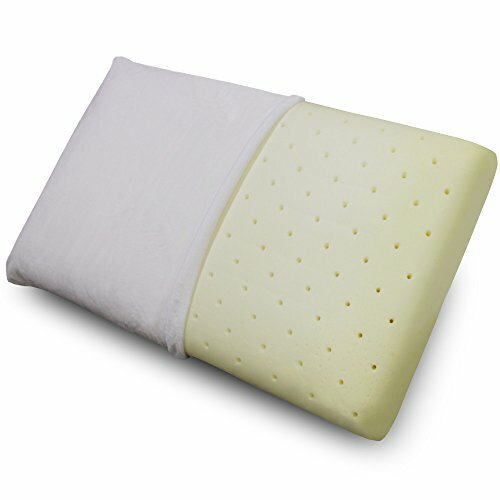 As such, the LinenSpa pillow can also be used by persons suffering from allergies. It’s also a great option for people with asthma. LinenSpa pillow cover is made entirely from percale cotton. This fabric gives it a traditional look but it also feels soft enough for you to rest your head on comfortably. The cover is also removable and machine washable, making its maintenance a breeze. LinenSpa gives a three-year warranty on this product. It means for the next three years, you are guaranteed of a quality pillow to make use of every night. 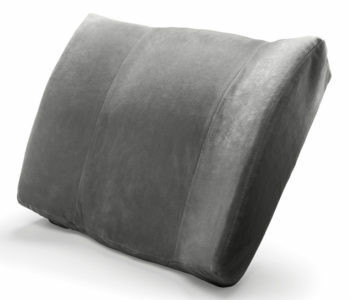 Another top-rated product is the Z Memory Foam Pillow by Malouf. The key highlight of this pillow is that it has a good combination of sink and spring, enabling it to offer utmost comfort. The memory foam used in the Z pillow is slightly different. Malouf calls this the ‘Dough’ foam, and it’s softer than the ordinary memory foam. Its soft texture makes the pillow malleable, which means it can easily conform to your body.Z memory foam pillow comes with a zippered casing for easy removal and washing. 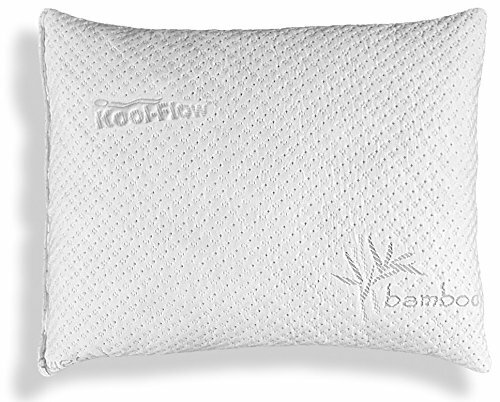 Malouf has used a blend of polyester and rayon from bamboo to make this pillow. It is these materials that enable the pillow to repel heat, guaranteeing a restful night’s sleep. But what makes Z pillow a great choice is its versatility. 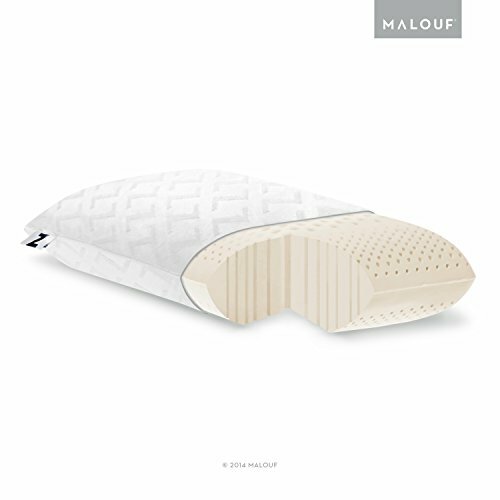 Malouf offers the Z memory foam pillow in different sizes, loft height options and comfort levels. You can choose from standard, king and queen pillow sizes. Ideally, the sizes are in line with the size of your bed. As for comfort, Malouf offers two options, that is, plush and firm. You can also pick from three loft height alternatives, that is, the low, mid or high loft. If you want a thin pillow, the low loft Z pillow with a thickness of 4.5 inches makes a great choice. The mid and high loft are thicker, measuring 6 and 7 inches respectively. With excellent versatility we think this deserves to be on the list, as a competitor of the best memory foam pillow. 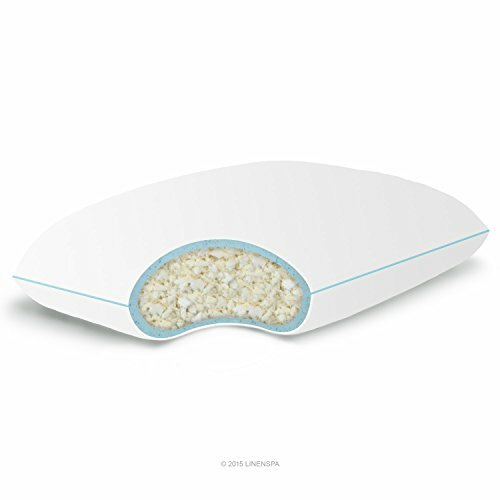 Elite Rest created this pillow so as to address their customers’ need for a supportive yet thin pillow. They used memory foam to create a pillow capable of providing a soft sink for your neck and head while still offering the much needed support. The manufacturer recommends this pillow to a back or stomach sleeper, who often requires a pillow with a low profile. Side-sleepers may not enjoy it as much (hence it isn’t the best memory foam pillow for everyone). Due to the fact that it’s made of memory foam, the pillow is able to resist all kinds of mold, mildew, bacteria, moisture and even bed bugs. The Ultra Slim Sleeper enables you to sleep soundly by guaranteeing a clean and healthy environment. The one concern that buyers raised is that the pillow has an unpleasant smell when it’s first removed from its packaging. But, this a common occurrence with memory foam pillows. Besides, the smell dissipates within a few hours of unpacking it. Memory foam pillows have become so popular and it isn’t surprising. 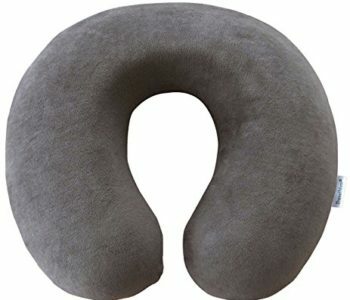 These pillows mold to the shape of your neck and head, repel heat at night and are easy to maintain. Memory foam is naturally antibacterial, which makes these pillows suitable for people suffering from asthma and other allergies. If you want to enjoy a good night’s sleep, consider replacing your traditional pillow with any of the memory foam pillows in our review. You might also consider some of our other posts such as our guide to the best body pillow. And, if you’re in the market for a new mattress, we’ve got guides for selecting memory foam mattresses and futon mattresses.